1. Entries will be limited to two (2) per class per farm or family and a total number of no more than 20 sheep per farm or family,except by special permission from Deparment Chairs. 2. Group classes will be limited to one (1) per class per farm or family. 3. All sheep must have RABIES VACCINATION and have certificate signed and dated by a veterinarian. 4. All sheep must have appropriate health certificates to show that the flock has been found free of Scabies, Scrapie or any other contagious disease. 5. Registration of purebreeds and verification of health papers will be checked by the superintendent upon exhibitor’s arrival. All animals must be inspected before being penned. Acceptance or rejection of sheep will be left to the discretion of the superintendent or health official. 6. Animals must be penned by 9:00 P.M., Thursday, and remain on the fairgrounds until 6:00 P.M., Sunday. Exhibitors will assist in dismantling and clean up of the tent. 7. Exhibitors must be present at time of judging and it is the exhibitors responsibility to be aware of show order which is called alphabetically . 8. Exhibitors must supply feed and hay; bedding will be provided. 9. Entries will be accepted only in the classes listed. 10. Exhibitors are encouraged to enter fitting and showmanship and decorate pens with educational information. 11. Youth, under age 21, compete in Youth Show. Youth Show will be the same divisions and regulations as Adult Show. Show times will be announced upon arrival Thursday. Youth Show precedes Adult Show; breeds will be called alphabetically. Only youth exhibitors may enter classes 20 – 27. 12. 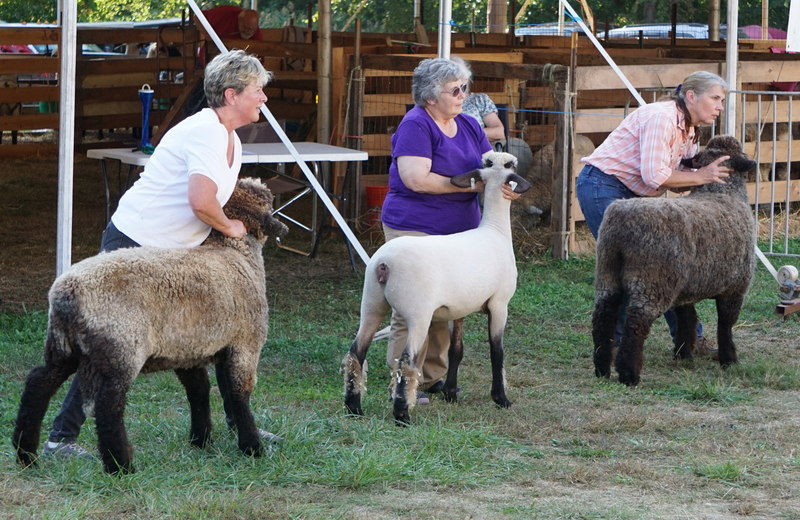 Entries will be limited to a total of 80 sheep, and will be accepted based on the order in which they are received. The superintendents will notify exhibitors whose entries have not been accepted.